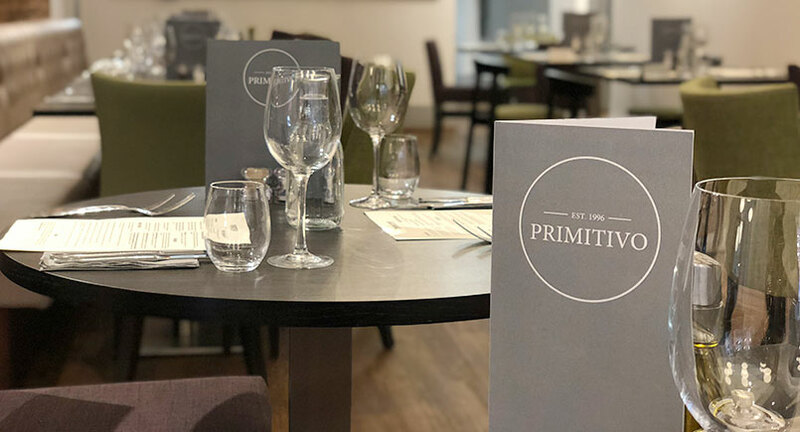 Considered one of Birmingham’s hidden gems, Primitivo had to close its doors to the Colmore Business District due to building works being carried out around the establishment. Making good use of this downtime Primitivo’s owner, Prit Sagoo enlisted the help of Chrysalis to work towards a new aesthetic for this city centre hot spot. 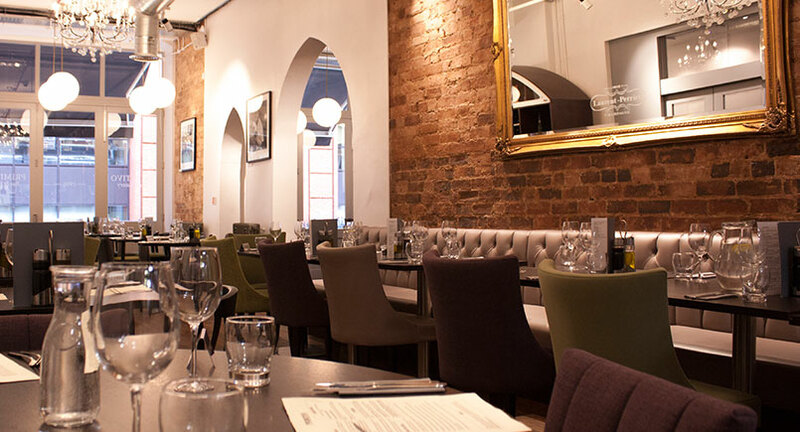 Located in the bustling Colmore Business District, Primitivo has always been a favourite with highflying professionals and city workers for business lunches and after work drinks. Unfortunately, due to the major redevelopment of The Grand Hotel which is directly above this venue, its doors had to close. 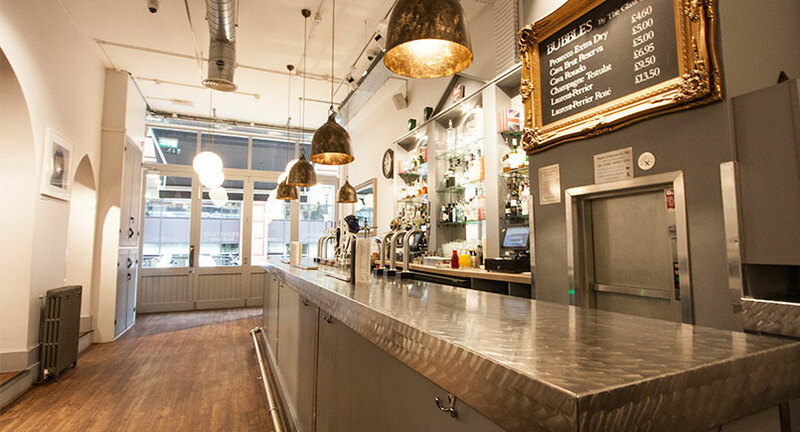 Chrysalis was contracted to help Prit design and refurbish her bar and restaurant. As an enthusiastic client, Prit has been heavily involved in the process which has ensured for a smooth design and implementation process. 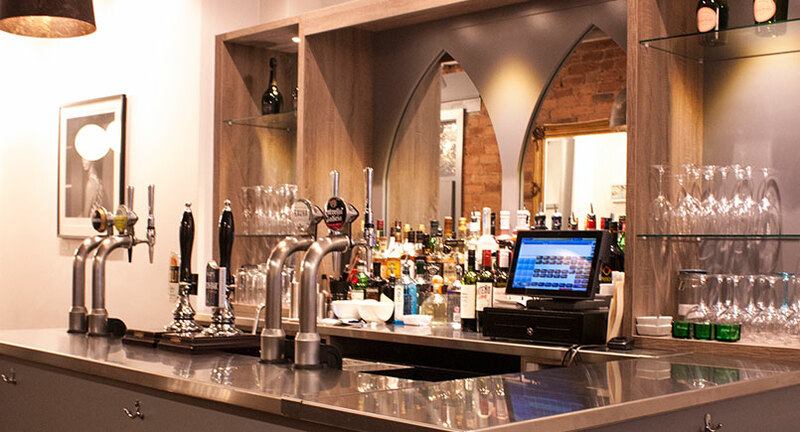 The ground floor space originally served as both the restaurant and bar but due to the acquisition of the neighbouring unit, Primitivo was able to expand. Primitivo now being the main restaurant and the new space becoming the Barwick Bar. 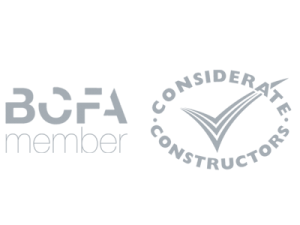 Chrysalis worked alongside Pennycuick chartered surveyors to ensure this project met regulations and time constraints. The venue receives a mix of clientele and offers food and drink options from snacks and cocktails to champagne and three-course meals. The table and seating options needed to reflect the needs of this clientele. Prit decided on mixing pieces of loose furniture that complimented each other with pieces that were fully upholstered or timber-framed, providing a bistro feel. The loose furniture was upholstered in contract standard fabrics of green and earthy tones from Sunbury Fabrics and Malone Fabrics, complimented with a wenge stain finish to the timber legs. Although loose furniture was used there was also a plush section of banquette seating installed. The fixed seating had a high-pressure laminate finish to the sides and kick panels and was upholstered in an easy-care grey vinyl from Malone fabrics. This contract standard vinyl was deep buttoned to the back which added a flair of charm to the seating. Banquette seating was a great solution for this project as it helped to increase covers and become a feature point of the room. The bar in Primitivo’s restaurant was produced using a bespoke hand brushed stainless steel for the bar top in the main restaurant and completed the look by giving the space a coat of stain wood paint in dove grey. The tables chosen had a matching high-pressure laminate top in a wenge finish to match the loose furniture leg finishes and the table bases were finished with brushed stainless steel finish to complement the bar and other joinery pieces. The overall theme closely resembles an industrial interior with hints of an Italian bistro. When the unit next to Primitivo became available, Prit saw an opportunity to expand and once again enlisted the help of Chrysalis to complete this new project. An expansion of the existing bar and restaurant meant that the previously redesigned space could become the main restaurant whilst the new extension would become the new ‘Barwick Bar’. With a capacity of around 60 covers, Chrysalis wanted to maximise the space Primitivo had and help it reach its full potential. A new bar was designed and manufactured in-house with a simplified brushed stainless steel finish to complement the scale of the smaller unit. The carcass of the bar and undercounter featured high-pressure laminates in a wood effect with moisture resistance core boards. A lighter laminate was used for the back bar and combined with safety glass mirrors and storage shelves. LED lighting was used throughout the shelves to illuminate the glass wear and products on display and provide some ambient lighting. A mixture of high and low-level seating was introduced into this space as it was intended for private dining and functions which requires versatile furniture that can be altered to guests needs. The loose furniture chosen complimented phase one of the project as the same timber stain was used in addition to co-ordinating fabrics to maintain consistency. The installation process was completed with minimal disruption or issues despite the construction of the overhead hotel continuing. During installation of the Barwick Bar, unforeseen pipework had been discovered which obstructed the location of the bar. This pipework had to be removed in order for the installation to continue. Luckily this was dealt with efficiently with the help of the tradesmen on site and the bar was successfully completed. Some bespoke items such as the banquette seating had to be installed on site due to its size, but with skilled joiners from Chrysalis working on the project, this was a smoothly and efficiently installed. The two-part refurbishment was deemed a success by its regular clientele upon Primitivo’s reopening. The overall façade had moved away from its previous striking red which was both inside and outside the building and was replaced with an upscale cooler palette. The venue now boasts silver and greys which are much more complimentary to the exposed brick walls and deep walnut flooring. 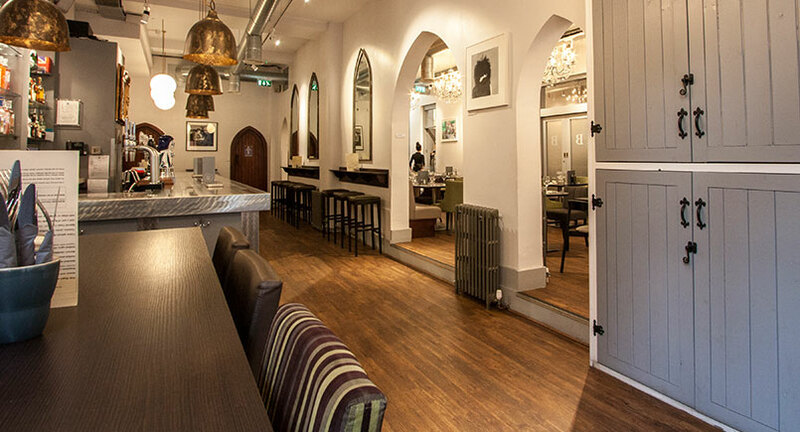 The Chrysalis team enjoyed working alongside Prit on this fast-track restaurant and bar refurbishment and look forward to similar projects in the future. Are you interested in talking to a member of our team about how we can help you refurbish or renovate your venue? If so, get in touch.